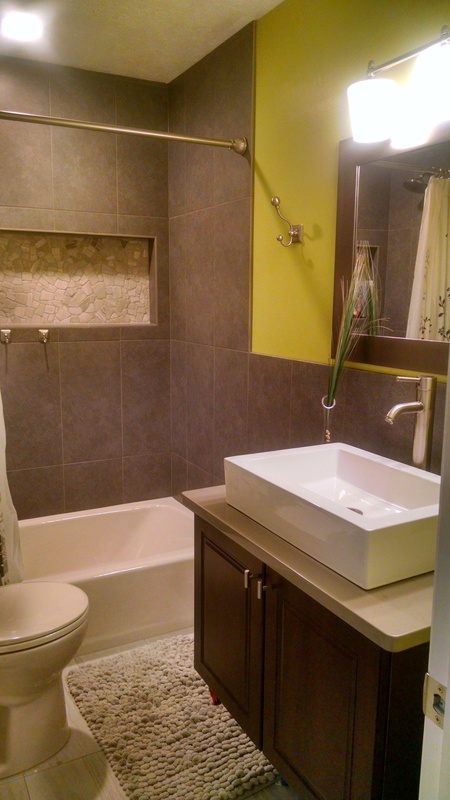 If you’re looking for a way to do some bathroom remodeling on a smaller scale, there are plenty of options that don’t involve a full remodel or an extensive budget. Updating your bathroom vanity is one project that can significantly change the look and feel of the room in no time. InsideOut Renovations & Home Repair, Lincoln, NE’s top remodeling contractor, offers clients several ways to give their bathroom a fresh, new look by simply amending the vanity. Bathroom vanities not only stand out as one of the main focal points of the room, but they are also an essential feature to its overall functionality. Thus, a vanity should be designed to maximize your bathroom's space, as well as be aesthetically pleasing. InsideOut Renovations & Home Repair gives clients the ability to easily achieve both goals by providing an assortment of ideas for renovating a vanity, from installing new countertops and sinks to applying modernized hardware and additional storage. No matter the components that are chosen, each vanity is created with the customer’s unique needs and taste in mind. The contractors at InsideOut Renovations & Home Repair believe that remodeling and updating a home should be a pleasant and exciting experience rather than a headache and inconvenience. Every remodeling project is handled with the utmost professionalism and attention to detail, which includes causing as little disturbance to the daily operations of your household as possible. Upgrading your bathroom vanity is a low-cost, effective alternative to diving into a comprehensive bathroom remodeling project. Call InsideOut Renovations & Home Repair at (402) 474-0028 or visit them online for a full list of services.